Tech Neck is not only real, it's an epidemic! Millions of us stare at our phones, tablets, or laptops for hours every day, according to research published by Kenneth Hansraj in the National Library of Medicine. An adult head typically weighs 10 to 12 pounds when it’s in a neutral position. 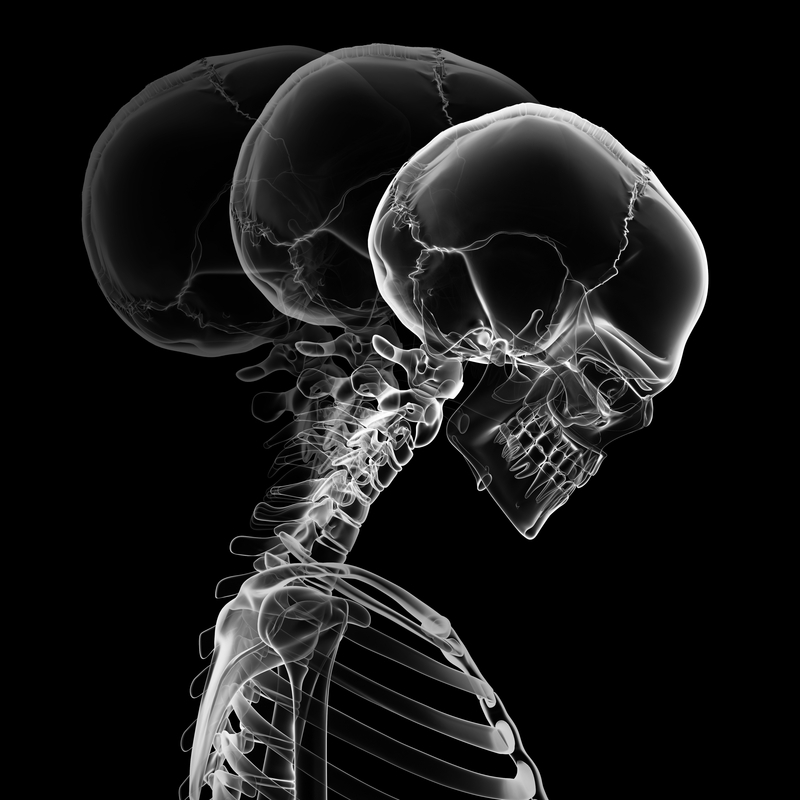 But as soon as you begin to tilt your head forward, the amount of weight your neck can become 60 pounds of pressure on your neck and spine! Over time, researchers say, this can lead to early wear-and-tear on the spine, degeneration and even surgery! If left untreated it can lead to serious and irreversible side effects such as nerve damage, arthritis and spine degeneration (aging of the neck).